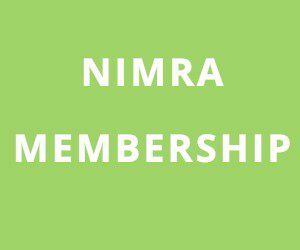 The last race of the Podium4Sport NIMRA Championship for 2018 took place on Saturday 29 September. 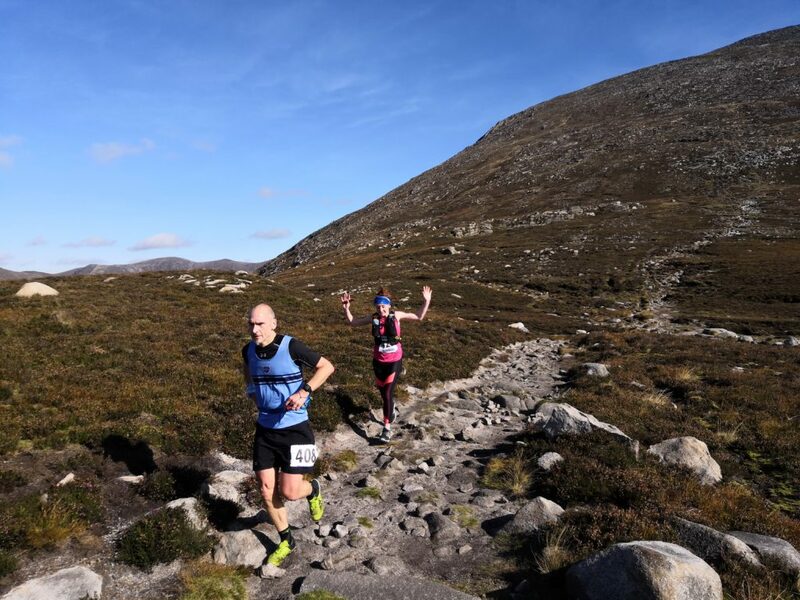 It was hosted by the Mourne Runners in the heart of their home turf. Unlike the last race organised by the blue and yellow team the sky was blue and the 55 mountain athletes on the line were bathing in sun, rather than a thunder storm. Starting from the gate at the top of Carrick Little lane the route took runners up the path under the gaze of the mighty Binnian before sweeping right following the trail that snakes up to the Lamagan Cove col. At the col the race was on to top out on Lamagan before picking a path down the rock strewn side of this beast to the Binnian Lamagan crossroads. 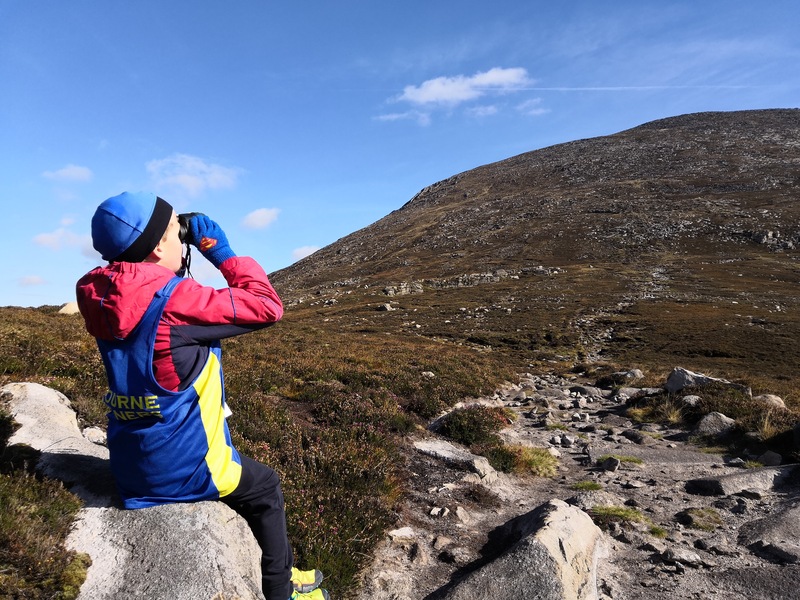 Encouraged by the sound of a ringing cow bell the racers headed up and across Binnian to the summit followed by an ankle busting sprint down the wall to the finish at the gate. 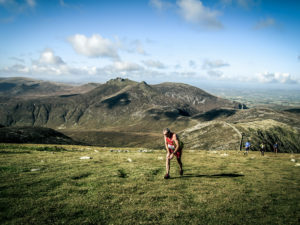 When the gun went off Mourne Runner Sarah Graham took the race to the ladies. Following in her explosive wake were North Belfast Martsje Hell and Lagan Valley stalwart Shileen O’Kane. As the race progressed up to towards the first checkpoint Martsje and Shileen started to catch Sarah. At the top of Lamagan Martsje had overtaken Sarah and opened a lead on her competition. She was followed by Sarah then Shileen. The rocky descent favoured mountain goat Shileen and by the bottom she had a slight lead on Sarah. 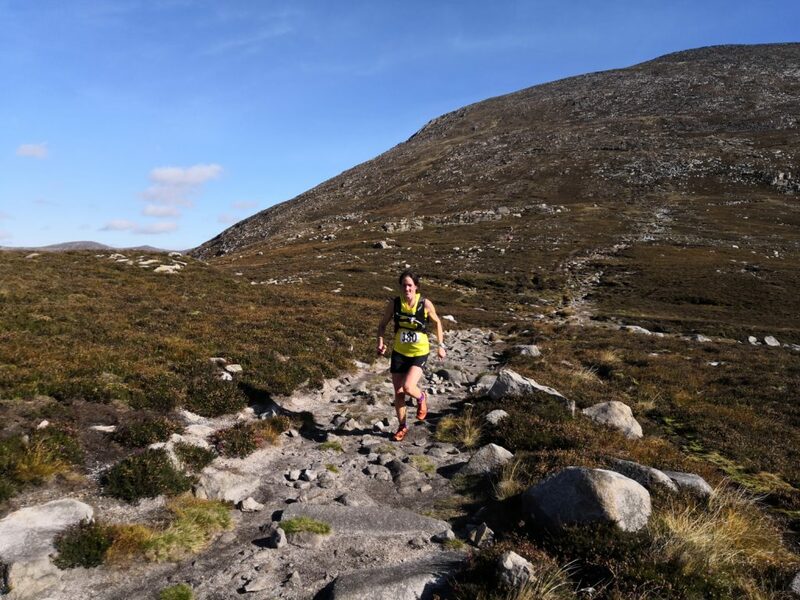 The granite obstacle that is Binnian did nothing to shake up their positions and the ladies top three was Martsje, Shileen and Sarah. 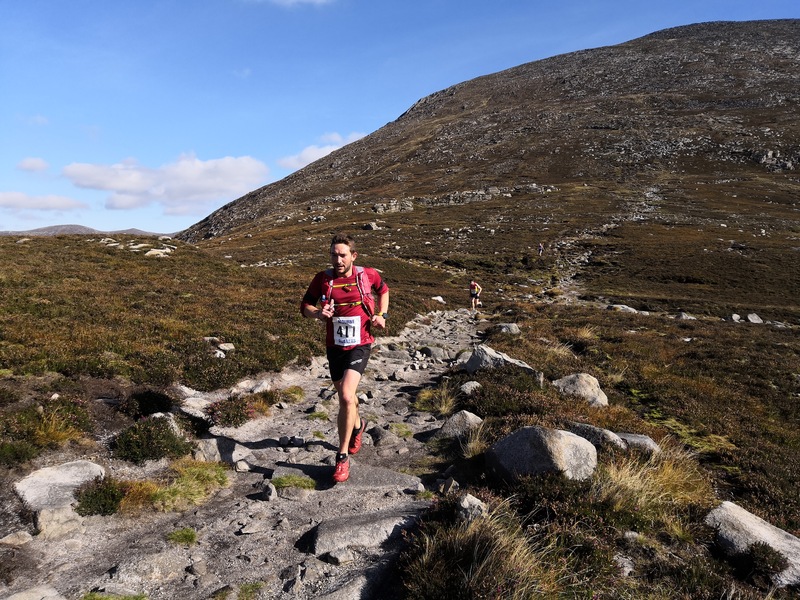 In the men’s race Robert Clark, visiting from Dorset, Mourne Runner Jonny Scott and David Hicks took the lead and battled their way over Lamagan. 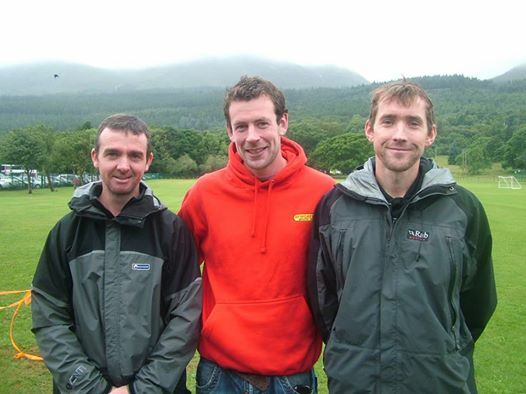 Robert led them through the Binnian Lamagan crossroads closely followed by David then Jonny. On the climb Robert and David got a 20 second gap on Jonny, but as they spilled down the finishing descent David mauled his ankle; this allowed Scott to overtake him. Clarke took the win, followed by Scott then Hicks. Thanks to everyone who marshalled, baked buns, made sandwiches, and helped make the day a success. A big special shout out to James Carr for running the dibber system today and during the championship this year.